Davin a little boy aged 25 months reaches for a glass fish pot which have two colorful fishes. His mother is watching him & when she understand that he is trying to reach the pot she gave her “the look” with broaden eyes firmly saying “No!”. Little boy continues to move towards fish pot repeating his mother’s words “No! No! No!”. Davin’s mother reached fish pot just before little Davin was supposed to pull the fish pot. Davin’s mother shouted; “You aren’t supposed to touch the fish pot.” Why don’t you understand? Little Davin start laughing which make his mother more angry. It is a very common scenario in every home but parents have to understand the main cause of why little kids don’t obey & how parents can avoid any accident which can happen disobeying the parents. Let’s understand the age factor of kids & their understanding. Three is that age at which Kids starts to understand & have maturity to monitor their behavior & to control their impulses. Three years is an average age group at which Kids typically ready for discipline & is given as a guideline, Three Years is also called magical age. It may vary as children grow & mature at different rates. 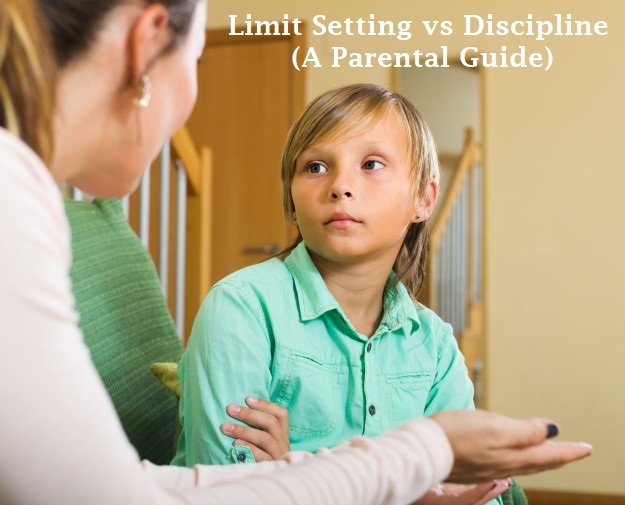 When parents talk about disciplining kids, actually parents are trying to help their kids in developing & learning to regulate their own behavior. Parents should do all of this without any expectations if kid is under three. As kid mature, parents can start expecting obeying & inner control from their kids. Distract Davin: His mother can distract him by pointing something else which may interest him, such as Toy Car, Birds, Fan, any other sound etc. Change the location of Fish Pot: Davin’s mother can move Fish Pot out of sight or somewhere else where Davin can’t reach. Recognize Davin’s Interest: His mother can recognize his interest in colorful moving objects in water like fish. She can tell him about more living creatures which lives in water. She can tell him more about fishes; can gently let him touch the fishes. So little kid can understand better. Explain why parents have set the rules: She can tell her little boy that “the glass pot can fall over, he can hurt by broken glass pieces, the water can spill and fishes can die’. If Davin Obeys: If kid obey her mother then praise him. Also remember one more thing that kids follows elders so you have to aware before touching fish pot if kids are there or not. Make Sure that Kids understand why limit was set: It can be confirm by asking that “Why doesn’t Mom want you touch the Fish Pot”. If Kids don’t obey: Mom can remove Davin from the room. The answer to this last question could be having Davin ask mom to hold the Fish pot so Davin can get closer the fishes. The purpose of developing discipline in Kids is to teach Kids inner-discipline so they can make proper decisions & don’t need parents in future to set their limits. It’s Parents job to provide controls that Kids need till they are developmentally ready. Parents should use such techniques which do not hurt Kids & at same time which let you feel confident as a parent.